This newsletter is the third in our series on long-term care insurance. LTCI 101 covered definitions. LTCI 201 reviewed optional riders. In this newsletter, LTC 301, we look at contract provisions that are common to most long-term care insurance policies in the market today. When we work with clients who are exploring long-term care insurance, in almost all cases the initial focus is on cost and coverage issues. 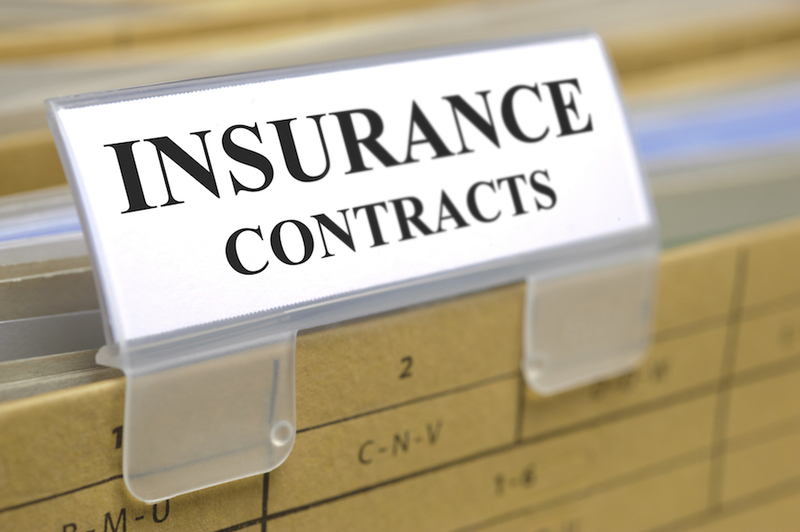 Review of contract provisions usually takes place when the policy is delivered. These are additional benefits that are part of the policy. Think of a provision as an obligation on the part of the insurance company that is included in the base cost of your policy. Some provisions are regulatory requirements. An example of a provision that may be included but not required is international coverage. Some policies will pay for care abroad. Some may pay a reduced benefit for a specific period of time like 75% of the nursing home benefit for one year. Others may not cover any care received outside of the U.S. Facility and community-based care. Most of our clients want to remain in their own homes if care is needed. Integrated policies, which comprise about 99% of policies sold today, pay for care in a range of care venues. These include the policyholder’s home, adult day care center, assisted living community, nursing home and hospice. Alternate plan of care. Long-term care services continue to evolve. The policy language may not specifically list a future service or treatment. With many policies, if the policyholder is working with a care coordinator who recommends an alternative venue or service, the insurer will provide benefits. An example is a group home. Many carriers will cover care services provided in a group home which has fewer beds than an assisted living community even when the term “group home” is not specifically listed in the contract. Care coordination. We all know how complex it is to figure out the level of care required along with appropriate care venues and trained and trusted home care agencies. That’s why almost all carriers provide care coordination. Utilizing the services of a care coordinator or case manager makes this process easier for policyholders, families and insurers alike. Oftentimes, additional benefits are provided when a care coordinator is utilized. Care coordinators generally are nurses, social workers or geriatric care managers who understand care needs, know care venues and can recommend reliable care providers. Bed reservation. This benefit will continue to pay for an apartment in an assisted living community or room in a nursing home if the policyholder is hospitalized. Usually limited to 30 days a year, this is a very significant benefit. Just think if you resided in an assisted community, were hospitalized and when released you needed to find a new place to reside. Or alternatively, pay for your accommodations even if you are residing elsewhere. This provision eliminates those worries. Respite care. It is our experience that by the time a policyholder calls for help filing a claim, the family caregivers are exhausted. Assistance was probably needed months ago and family members have been pitching in to provide care. This benefit provides a third-party or temporary replacement to relieve family caregivers. Respite for the policyholder could be at home or in a facility. This provision can range from a couple of weeks to up to a month each year. The elimination period does not have to be met for this benefit to be available. Premium waiver. The application of this benefit varies by insurer and product design. This feature waives future premiums for the duration of a claim. Usually the elimination period must be fulfilled. Think of it this way. Money flows in only one direction. If the policyholder is paying premiums, the insurer is not paying benefits. And vice versa. If the insurer is paying benefits, the policyholder is not paying premiums. Discounts. Premium discounts vary by product and carrier. Most will provide a discount for preferred health. Many others will provide discounts if residing with another in a committed relationship. Other insurers allow a parent and child to share a policy even if they reside in different states. Lots of opportunities to be aware of here. Payment options. If your policy has ongoing premiums, most insurers will offer annual, semi-annual, quarterly or monthly payment options. Depending on the product, some insurers still offer single-pay, 10-pay or 20-pay options so that once the last payment is made the policy is paid up. An attractive feature here is that you can design premium payments to coincide with retirement. In other words, get all the premiums paid while still working and receiving employment income. Lots more. There are many more provisions of contracts. Among these are lapse notification, guaranteed renewable, nonforfeiture and more. A valuable resource is the Buyer’s Guide to Long-Term Care Insurance which is published by the National Association of Insurance Commissioners. 30-Day free-look period. To be sure that consumers are confident about the insurance coverage they have purchased, policyholders have a 30-day free-look period to review cost, coverage and the contract language. The 30-day period begins once the policyholder has received the policy. If the policyholder decides for any reason that the policy is not right for them, they can return it within the 30-day period and receive a full refund of any premium paid. While we are focusing on contract inclusions in this newsletter, it is also important to note that most contracts have exclusions as well. For example, benefits would not be paid for care paid by Medicare or care required due to an intentionally self-inflicted injury. The same applies to care required as the result of participation in a felony, riot or insurrection. Most policies also exclude payment for care provided in a treatment facility for alcoholism or drug addiction.